This is a super idea for a different blazer. Don't you think so?? The decorated blazers are a must-have piece for a more military, chic or rock character! 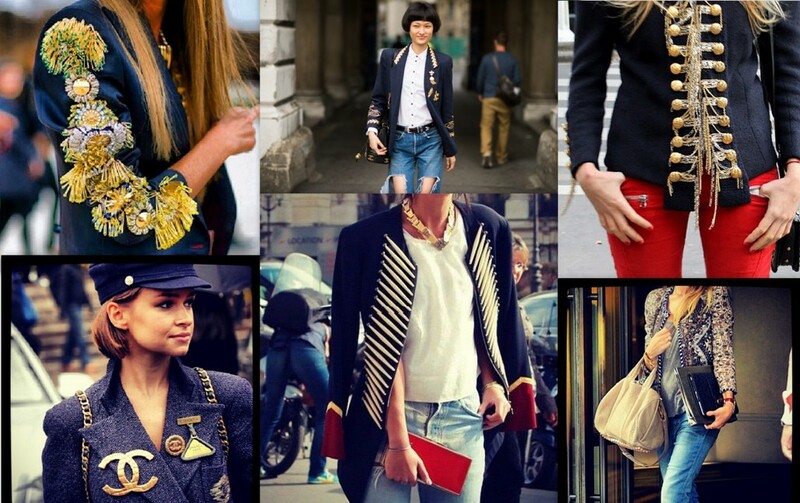 If we can't find a blazer that suits us in stores we can change our old blazers by making some DIY. Great idea!! I love blazers with militay details! mou aresei polu i teleutaia eikona ! The photos you have chosen are amazing!